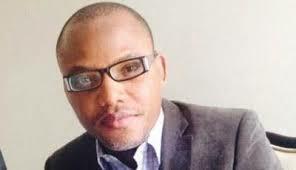 We the family of Indigenous People of Biafra (IPOB) worldwide under the command and leadership of Mazi Nnamdi Kanu wish to urgently draw the attention of the civilised world to the dastardly plot being perfected by the APC Hausa Fulani led Islamic government of Nigeria against peaceful unarmed members of IPOB residing in Biafra land in the next few weeks. IPOB Intelligence Unit have uncovered elaborate plans by the Islamic APC government of Buhari to incriminate IPOB members in order to justify their controversial and unpopular proscription of IPOB with the attending laughable tag of terrorist organisation against a world recognised peaceful movement. They want to spread terror, intimidation and instill fear in the minds of those that will survive this massacre and cause our people to renounce or abandon their legitimate quest for freedom. The military, police and the DSS exclusively staffed by Hausa-Fulani Islamic extremists would carry out murderous simultaneous raids across South East and parts of South South to eliminate tens of hundreds of young men under the guise of hunting for IPOB sympathisers. They will then call a world press conference to show the media corpses of 'solders' killed by IPOB in order to justify their decision to tag IPOB a terrorist group and hopefully dent the standing of IPOB in the eyes of lovers of freedom all over the world. This evil plan will also involve burning down some police stations in the Eastern Region with claim that it was done by IPOB sympathisers loyal to the leader Mazi Nnamdi Kanu. The plan is to trigger an ethno-religious crisis of immense proportion as a prelude to unleashing what they termed the final solution to the Igbo question in Nigeria. South East governors who till date could not defend their states against wave after wave of Fulani herdsmen murderous invasion, have gladly volunteered, in exchange for a second term in office, to collaborate with Arewa North to inflict another genocide on the people of Biafra. South South is not left out of this plot because the plan also is to instigate crisis of confidence so that South East and South South can never come together to forge a common position. In the pursuit of this divide and conquer agenda, there is a plan to appoint a person from “South South” into “a powerful” office in the Federal government either into the office of Chief of Defense Staff or Secretary to the Government of Federation. This individual will be given the responsibility of ensuring that the people of South South do not rise in opposition when the massacre of Igbos gets underway. Furthermore, to seal this well orchestrated evil plot, the Arewa North will soon appoint a Yoruba to replace the present Inspector General of Police to give the impression that the fight against Biafrans in general and Igbo in particular were being spearheaded by the South West and the South South in collaboration with the North. Needless to say that these plans will never work because there are more than enough men and women of good conscience in South South and South West to allow such ploy to take hold. We do not kill, we abhor lawlessness and till date nobody can point to a breakdown of law and order incident attributable to IPOB activities. We are too civilised a people, from time immemorial, to want to dabble into primitive destruction of lives and properties. That is the exclusive preserve of the Arewa North not IPOB.